He's posted about 20 odd pictures of him training just before the one's you see there. Hence why I say there's plenty more. I know he's afraid of a smack, and if you're afraid of a smack off me, a smack will feel like a double barrel shotgun. 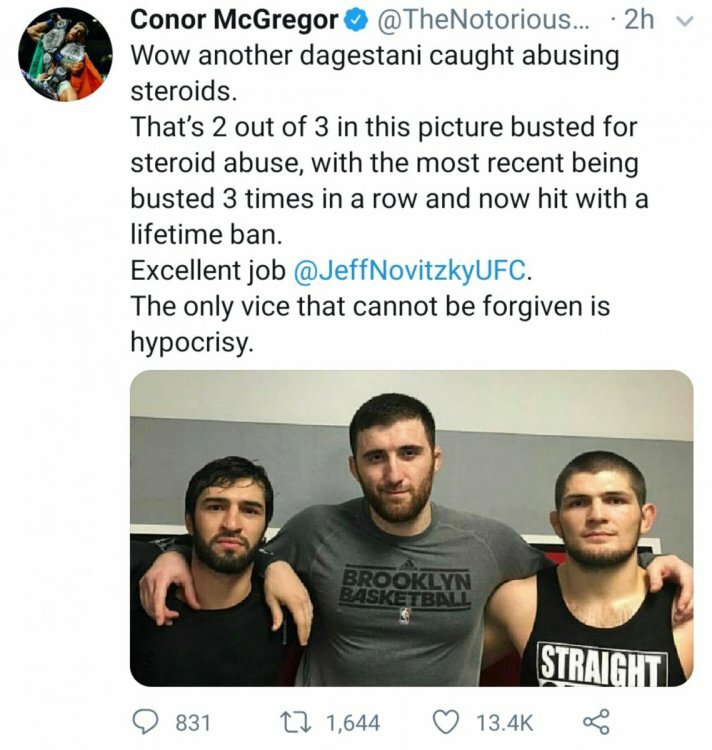 For some reason I dont think he meant a rematch with Khabib. Ah ok, I never actually noticed them but thank you. This whole thing is getting boring though now isn't it, it's like when Conor put the tweet out initially most people didn't really buy it, I don't think it made the impact it was supposed to make due to him doing this before (was it 2016 or something). It's getting boring I reckon and if he was to retire I wouldn't have a problem with it because it would make the divisions and the booking much easier, I don't hate Conor but it definitely does make it much harder when he just picks and chooses his fights as he wants as opposed to fighting between the top 4 or whatever when fights need to be made. I can't see him having another rematch with Khabib and if he does I'm not sure it would be any different either. so he waits until he retires before he starts calling out fighters? classy. She falls asleep before he finishes? 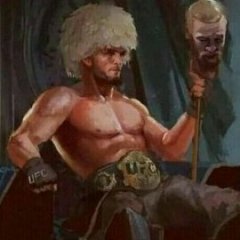 Mcgregor is terrified of Khabib, he was scared going into the last fight thats why he was hitting the bottle hard at the pre fight. "Its only business" says a terrified mcgregor after the fight was out of him. Look at those inbred, kiddie fiddling, roided terrorists. Absolute scum of the earth. Maybe Conor should start using steroids. I'd be embaressed to have a body like his and talk so much chit. Of course it's not racist, Khabib and his wife are Caucasian. Incorrect. It's a goat under the towel. I'm not going to be satisfied until people start dying over this beef. Until you mean the Bathtub Knife Fighting Championship, I don't think Khabib is down with that. Called it. Everyone in this place needs to go back and like my post now. The towel comment was pretty amusing. That said, Comber needs to learn to not mouth off to people who can beat his ****. His original joke was funny and he has devalued it with this needless tag. His Jew writers need to learn when to end a bit. Who was the fighter that got cut a few years ago for tweeting a homophobic joke ? Isn’t this much worse ? 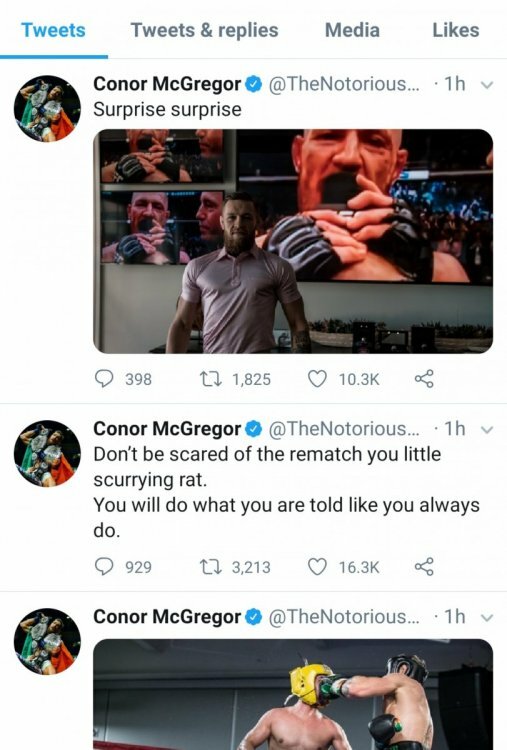 Did conor take that from the board? That said, Comber needs to learn to not mouth off to people who can beat his ****. hmm not sure I beleive someone that wrestlefooked him and won is someone how could beat his ****......lets see them in a real fight and see who wins. I think it was Mitrione, and he made an anti-trans comment about Fallon Fox, and he didn't get cut for it. He was fined and suspended. He was evenetually cut for being a can, however. Hugbib slumped with an overhand. Comber literally lost that fight everywhere. And vert proves that's he's never been in a fight before. Been in one? His take here makes me wonder if he's ever even seen one!